It takes some doing by a start-up company to make a noise in the online bookmaking world, but that’s what the rising stars at Betbright have achieved. The people behind it are the Dublin based Dedsert group who are also responsible for the Irish Lottery – known as NovaBall to customers in the Emerald Isle. They know what their customers want. Betbright will offer up to £50 in free bets when you sign up. And what they want is a juicy sign-up bonus. 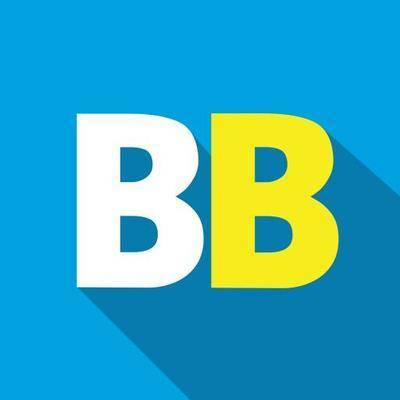 Betbright are keen to reward their customer base with superb offers and free bets, and their sign up bonus is one of the best in the industry. That is why we would advise anyone looking for a reliable and rewarding betting provider to make full use of the opening offer. It’s a very stress free process, where you can get a £50 matched bet free if your bet loses. All you need to do is register with Betbright using one of our sign up links and place a first bet with minimum stake of £10 at odds of 1.66 or greater. Enjoy the thrill of a punt, then you’ll receive a free matched bet to use on any of their Sportsbook markets as long as your first bet is a losing one. One of the big advantages and initiatives set aside by the team at Betbright is that you have the option to receive details of all your bets via text message. For free of charge, Betbright enable the customer to receive a betting receipt when either placing or a bet is settled. This is a very handy tool for punters, who can see where their account is at and get results of bets without having the potential hassle of logging in and finding the My Account section with the bet receipts. Betbright also pride themselves on their customer service. We found their live chat access very easy to use and very helpful. This isn’t always the case with this function as at times you feel like you’re talking to a robot and have to take a certain amount of time to be put through to someone who can help you with your query. Betbright have been keen to make their presence felt in the horse racing industry through sponsorship. It’s no surprise to see they go the extra mile to reward their customers that play the racing markets. On a daily basis they offer fruitful money back specials and brilliant each-way terms that firmly push the favour of the war between bookmakers and punters in the favour of the latter. They’ve also recently announced that they’re now offering even better value to customers with Best Odds Guaranteed (BOG) on all UK and Irish horse racing. This means if you back a horse and take the price, but the horse goes off a bigger starting price, then you’ll get paid out at SP. They’ve only been open for business since 2012 but have grown rapidly in just four years, attracting big custom from around the UK with their clever marketing and fully functioning betting portal. Sign up now!